The Department of Computer Science and Engineering at RIT is well known for preparing the students for real world challenges. Computer science is the scientific and practical approach to computation and its applications. It is the systematic study of the feasibility, structure, expression, and mechanization of the methodical procedures that underlie the acquisition, representation, processing, storage, communication of, and access to information. 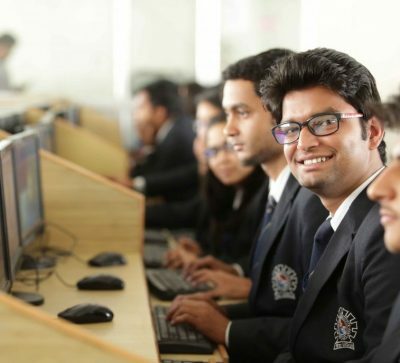 The mission of the Department is to impart high quality technical education and carry out leading-edge professionalism in the discipline of Computer Science and Engineering. 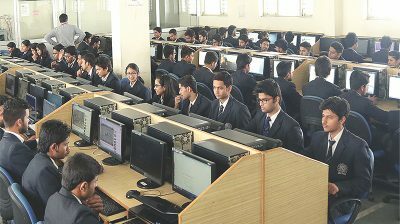 The Computer Science and Engineering Department has an Advanced Software Development Centre for in-house software development. This centre is equipped with various software on different platforms. The purpose of this centre is to provide real world working environment to the students during software development and project completion. The centre also provides solid base for the System Development, Project Preparation, Project Implementation, and Feasibility Analysis. Our software development centre has trained manpower as groups of faculty and brilliant students. The Master of Business Administration in MBA – Finance Management has been offered by the Department of with considerable success since 2005.